Time-travel with me to 1921 in Phoenix, Arizona. If you're familiar with the history of race relations in the United States before desegregation, you know that the law of the land was "separate but equal" (which was never true) and that meant that black and white students were separated, and in theory, treated equally. And if you've visited the George Washington Carver Museum and Cultural Center, at 4th Street and Grant in Phoenix, you know that it was the first high school built for black students, in 1926. It was closed in 1954 when Phoenix desegregated its schools, but it still has always left me with the question of where the black kids went to high school before 1926? Or rather, colored. 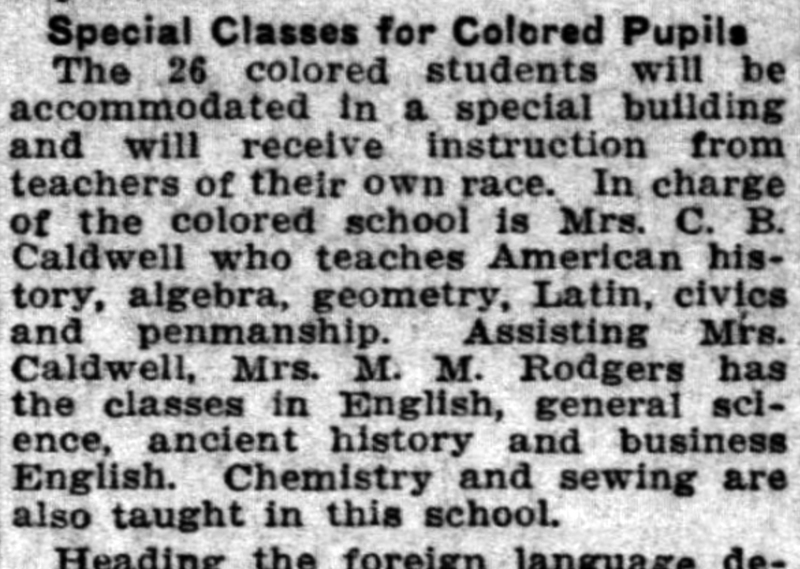 In 1921 that term was as acceptable as is "persons of color" is today. And yes, as a white guy this whole subject makes me a little uncomfortable, but it's part of the story of Phoenix, and is as important as anything else that has ever happened there. Nowadays most people don't think of high school as being particularly advanced. Most of the people that I know went to high school, and in fact a large percentage went to college. I even know people who have advanced degrees. So a "high school degree" doesn't sound like much in the 21st Century. But it meant a lot in 1921, and it meant a whole lot to persons of color. I found the article at the top of this post today and have been pondering what it can teach me. The population of Phoenix in 1920 was over 20,000 people, so it was already getting to be a sizable city. The high school which had been recently built was enormous, with multiple buildings, more like a small college campus than a high school. The population was booming! And there were 26 colored students. It's also interesting to note that their teachers were black, too. 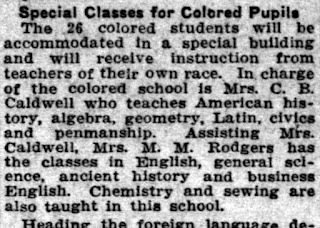 I'm going to see if I can find out more about Mrs. C.B Caldwell, who taught American history, algebra, geometry, Latin, civics, and penmanship. There was also Mrs. M.M. Rogers who taught English, general science, ancient history, and business English. The article doesn't say who taught chemistry and sewing, but the mention of sewing in 1921 clearly indicates to me that some of the students were female. Understanding the history of Phoenix often means looking at things that are very unpleasant. And my feeling is that I'd rather know than not know. The history of black people in Phoenix isn't something to be erased, nor should it be bowdlerized. It's like everything else that's precious, it should be preserved, and honored. If you liked this article, and would like to see more, please consider subscribing to history adventuring on Patreon. If you're already a subscriber, thank you! You make this happen! Cultural center & museum showcasing African-American arts & heritage, with regular programming.